Reading various threads related to Reaper skinning I'm getting more and more suspicious about putting retina displays and 4K monitors into the same bag. I can see skins which are 200%, signed as for Retina and 4K, but I doubt anyone would use them with 4K monitor. In order to understand the issue, I suggest to compare common monitor with retina and 4K. In case of Retina resolution display, we talk about one which has very big pixel density but its size must not be different in comparison to mentioned common monitor. Comparable monitor size means, that the user expects the same size of graphical elements as in common monitor in order to maintain user experience. In this case, 200% skin likely will be what is expected by a user. 4K monitors are different story. They offer bigger working area, which is intended to provide more working space, maintaining similar or a bit bigger GUI elements. In short: skins for Retina displays and 4K monitors are different skins and cannot be used interchangeably. Last edited by MaXyM; 01-13-2019 at 10:07 AM. JRENG theme looks great and works perfect. somehow his theme upscale and upscale great. Do you mean JRENG's Metric? I just tried it getting 18 tracks in TCP + Master. Svetle layout (most narrow) gives about 35 tracsk in MCP but is completely ripped feature-wise. With the theme I like most I can get more than 40 tracks using regular. See screenshots below. All taken from my 4K 42" monitor. You can post screenshot from your Reaper. BTW what does mean you have 300% resolution? You have 300% scale in Windows? *) In fact having a bit bigger elements might be welcomed in case someone is switching to 4K monitor which is not twice as as big as FullHD monitor he used to. For example 42" 4K monitor, elements have size comparable to 21" FullHD monitor. For someone who used to 24 or 26" FullHD monitors, GUI elements might be too small. But we are talking about a few % change, not 100%. Last edited by MaXyM; 01-13-2019 at 02:36 PM. everything looking the same but bigger. Yes, on Dark Extended you have more real estate. Resolution 300 is I think resolution for images for Retina stuff. and not having to squint to read small fonts. Weird League of Legends now has finally 4k resolution, looks great. This is entirely a problem about terms. Marketing people are trying to communicate differing but related ideas to a range of consumers who have not had to think about this sort of thing before. 4k is about TV. Its about raw number of pixels, and if your TV is 4k and the content you are watching is 4k then, congratulations, you are now having a 4k experience. These screens make their way into computers, and they keep calling them 4k, but in a computer context it doesn't necessarily mean much, because it could be a 4k laptop screen or it could be a large 4k TV but shoved right in front of your face. Retina is an Apple term, and it doesn't really mean anything except 'higher than usual' and lets you know how OSX will work with it. Points Per Inch. Traditionally regarded to be roughly 96PPI, but varyingly wildly. If you got a bigger screen, you generally got the same stuff at the same size but more of it, because ...well... bigger. So, from that we can conclude that some phones have very high PPI, though we don't really care. We can conclude that when Apple say 'Retina' they mean about 220PPI for computers (but waaaay more than that for phones). And we can conclude that 4k tells us ...almost nothing. What does this mean for Reaper users? If you're using a huge 4k monitor (which is probably a re-purposed TV screen) nothing has changed, you're still in 100% land. If you're using a 13" 1080p laptop, you're waiting for a 150% theme and probably have been for years (oops). If you have a retina mac, you want a 200% theme. If you're using a 4k laptop, you want anything from 150% to 250% as your theme, depending on its physical size. Reaper's functionality for delivering all this is still experimental, and you're going to have to be patient for both it and the themes that will use it. Sorry. People keep mentioning that the solution to all of this is a continuously variable vector interface. This is true, but is a bit like saying that the solution to poverty is 'loads of money' ...its only a solution if its a viable possibility. 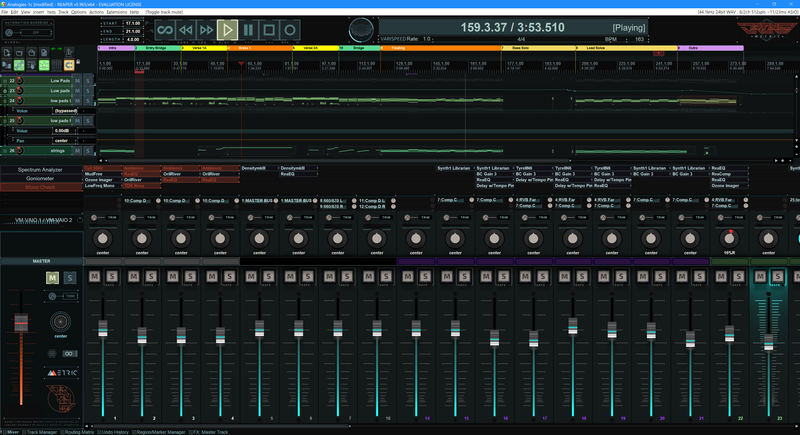 Other DAWs might make use of third party graphics APIs and find this easy-ish to implement, but part of Reaper's famous stability and broad compatibility comes down to these things being exceptionally tightly coded in-house. I agree that a good vector implementation would solve many problems and would be well worth doing, but I wouldn't hold your breath; its a big ask. And I guarantee you this : any form of less-than-good vector implementation would be an absolute nightmare for both themers and users. Just a few words from me, partially rephrased what I already said. 4K monitor is a strange animal. You want to have a big/wide scene, with a lot of work space, but on other hand want to maintain or even improve readability of text. So, Different GUI elements have to be scaled with different rations. In order to maintain comfort (reading web pages, editing texts, easily use windows GUI), Windows might set a scale numbers like 150% or 175%. 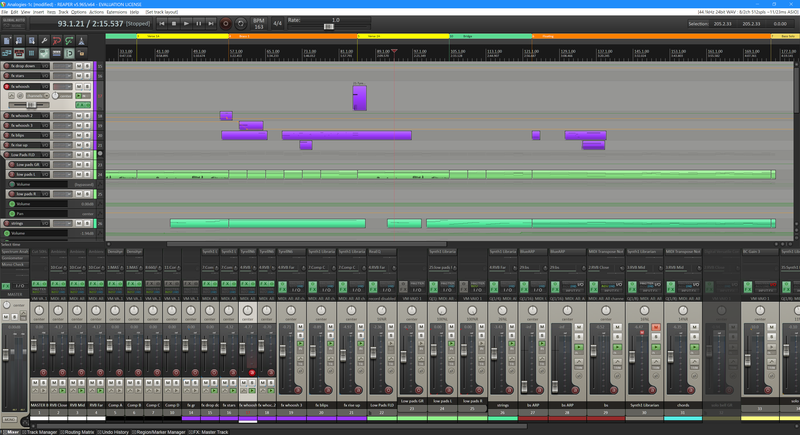 Such scaling set in operating system impacts Reaper themes (at least some of them). While bitmap elements are not being scaled, the fonts are. 2. text is way to big (because scaled by Windows), often overflowing gfx elements. Yeah, I know it's really hard to please all of us. I can imagine vector based GUI might be an only way to cover most of needs, at least providing flexible scaling to our needs. Preparing bitmap based themes is very time-consuming, mostly provided by users, created in their spare time. I wouldn't even ask for creating all needed variations of their theme. All together, likely we get no perfect solution in near future. I wrote my initial post after seeing how many times, people make advise to use 200% theme for 4K monitor. Even some themes contain both of those terms in their names. I wanted to point to this misunderstanding (IMO), eventually start a discussion, presuming I must not be right or there is maybe a magic trick making 200% skin satisfactory for big 4K big monitors. Last edited by MaXyM; 01-14-2019 at 09:09 AM. 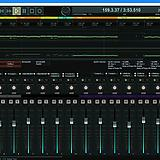 tracks in the mixer available, and I don't have to squint my eyes!!! Wowowow. If you read this WhiteTie, have you tried this? Yep... as any theme prepared for FullHD, running on 4K monitor. But on my end, those GUI elements are a bit too small. I would welcome about 15-20% bigger. Just to improve their visibility and confidence while fiddling with them. 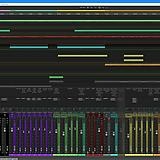 The protools theme is really clean, therefore looks almost usable. Dark Side while very impressive looking, is too busy. Actually some of its gui elements are big enough (sliders, solo button) while other buttons are really small. BTW IMO Windows scaling doesn't affect size of themed GUI elements. But maybe I'm wrong? I can see about 32 tracks on your screenshot while there are 38 on mine end. I have scaling set to 175. And I don't think I'm going to change that. Last edited by MaXyM; 01-17-2019 at 02:59 PM. you have a 42" monitor vs my 55" 4k Oled TV, lol. Sorry. I downloaded all my fave skins, and different mods of them, and I am testing them all. the one at my screenshot, Logic V 2.3 Custom (I have no idea what does that mean). and I ***** Macs, this skins is awesome and I think the elements (Mute Solo buttons for example) are very clear to the sight, I think I will stick with it. awesome and give me loads of Real Estate. Maybe instead of scaling UI elements as the menu reads, maybe add a multiplier of 2 or 3 to everything in the theme? I don't know. 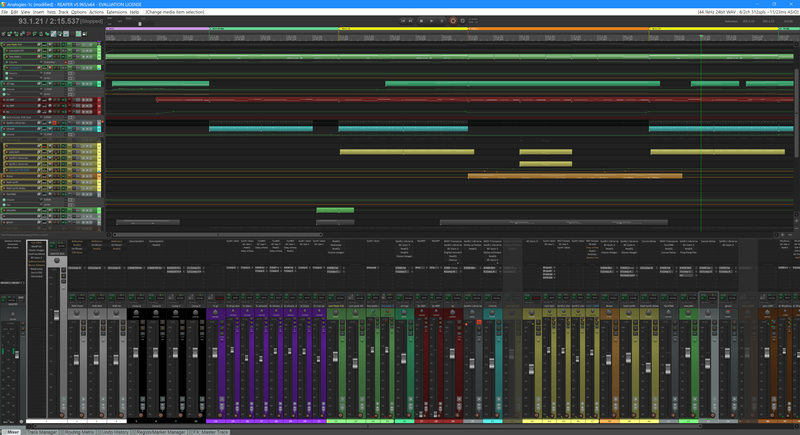 I don't remember the Windows scaling at the moment of my screenshot, but this screenshot is at 250% and looks awesome, I can read it all, and I can have more than 40, maybe 42 tracks in the Mixer and not hovering over the TCP to the left (screenshot has 30) and my sight isn't the best at all. Exactly. With 55" monitor you are getting Reaper theme elements size comparable to 27" FullHD monitor, additionally having 4 times bigger working area. even on mac there are some more variables. in display settings for my 15" MBP retina I have 5 scaling options. I use the one above default giving me more space but without everything looking tiny or broken. I'd prefer more space but I think I need a 1.5X theme for that to work. Everything works with this except for 1 script (lbx_stripper), not even when running in low resolution mode it's not quite right. 200% is (for me) just about not having to ask Neil Degrasse Tyson to borrow his gear everytime I wanna DAW and, I am with-in Kung Fu distance from the monitor. There is also sort of a second reason for the, why-why only 200%? If some theme have text in the straight line design then it will scale just fine and people are free to replace graphics/fonts of course. Windows 10 suggest 150% and sure, but I prefeer somewhat in between so, 175% and I caAan be at 100% I guess, but my face look funny after a while. And, I am More than thinking about going 1440p ultrawide for a PC monitor with these relative "small" sizes anyway compared to the humongous TVs on the market that would lov<3 those pixels extra even more. I just surrendered and got a new gen GPU and looking at (most) games and performance +/- I think 4K is abit of waste of graphics performance and I would rather go 1440p ultrawide in say 3K'ish-land in pixels and cutting the sides does not involve scaleing if something don't like the UW format. 4K is sharper on the same size and so is 5 or 8K yes, absolutelly, yup, but but.. do what you wanna do. 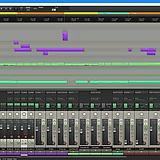 On Bitwig I can chose in-my-face what ever I feel like (cool) but the gridlines for example get a tad thin on 4K and can't be colo(u)red/themed like in REAPER, think 1440p is my personal sweet spot if the size is with-in the 32" area.